Since joining the Team at VanDusen Chevrolet Buick GMC, I am really enjoying my time here. For as long as I can remember, I have always been a car enthusiast. I am active in the Durham community spending most of my free time at rinks in a coaching capacity for many years. I was a goalie in the MTHL for many years growing up and have a great love for the game. Having spent 20 years in the financial industry, I have built up a high level skill set in credit execution. I have always had the ability to connect with people in an effort to reach an end goal. lifelong relationships with my clients. 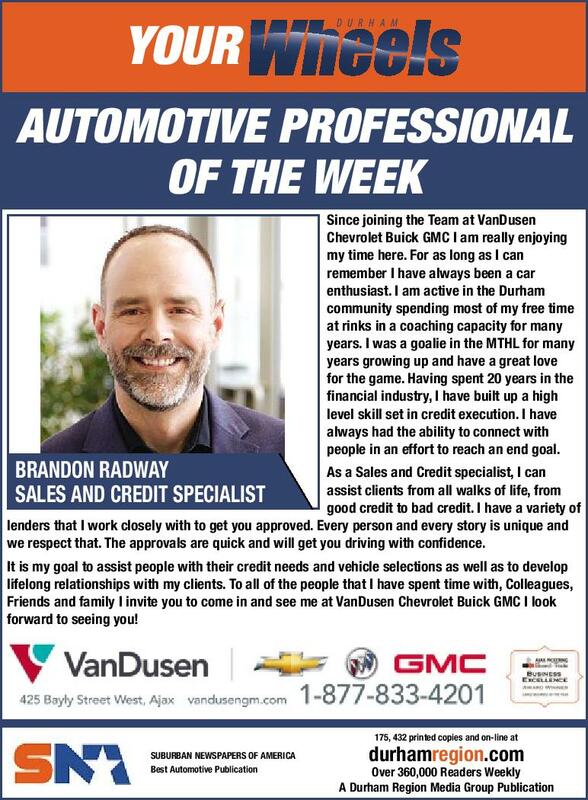 To all of the people that I have spent time with, Colleagues, Friends and family I invite you to come in and see me at VanDusen Chevrolet Buick GMC I look forward to seeing you!